Hashtags are seemingly gaining momentum in social marketing campaigns nowadays. They allow the marketers to come in front of their target audience and identify social media interactions and conversations that relates to their business. When used well, it can become a strong marketing tool that can drive brand recognition, enhance outreach, build community, create buzz, and can strongly influence customer loyalty and acquisition. To start with let’s have a fair idea about what exactly it stands for! 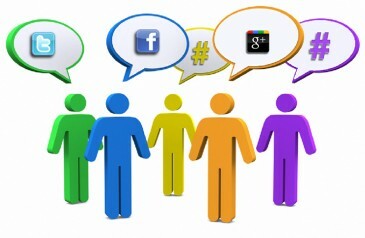 Hash sign is used by people to organize their conversations, tweet at occasions, and engage in online conversations. Given the significance and growing popularity, you need to know how to pick the right hashtag. Here are a few top tips selecting a right hashtag. As a marketer, you can use this tool to reach out your community, especially during webinars, events, or Twitter chats. If you want others to engage you must opt for a more specific hashtag. It is up to you to create the most effective and unique hashtag like #VerizonNOLA10 or #VZWINNOVATE so that it doesn’t get mixed up with other online conversations. Use unique terms, not common words. It is necessary to ensure that your # is easy to remember. When millions of hashtags are making rounds, selecting easy hashtag is the best choice. It should be short, sweet and easy to pronounce. Your fans will never forget it. Frequently adopting it in many channels will make it second nature for many of your fans. It is widely used across number of social media platforms including FB, G+, LinkedIn, Instagram and Pinterest. It will not only give your hashtag a wider exposure but it will also enable people to remember it when most visible on different channels. It could be the worst thing if you find the hashtag you used has already been used for altogether a different topic. Better take time to research on it to understand if other people are sharing it and for what topics. You can also use this sign to market a webinar or campaign on Pinterest or any other platform. It can become your brand hashtag that can be used in your product pins. This will allow your content to get easily discovered by the consumers to get more information about your brand. It will create awareness about your brand and entice fans to participate in the Pinterest contest. The key to successfully using hashtags in your social media content strategy is to make sure you are using the most appropriate tags at the appropriate time to reach broader spectrum of audience in a positive way. Using it prudently and effectively is the key to your successful marketing online as it is now becoming the most effective and easiest way to promote your business online and engaging your target audiences.